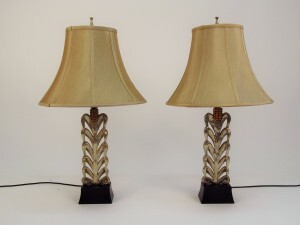 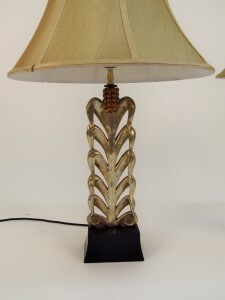 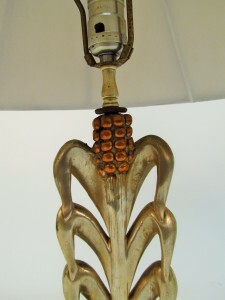 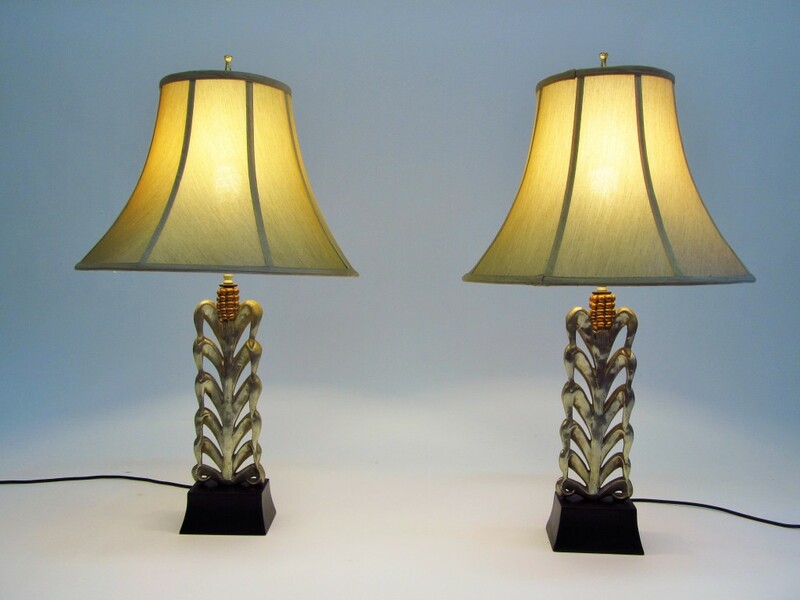 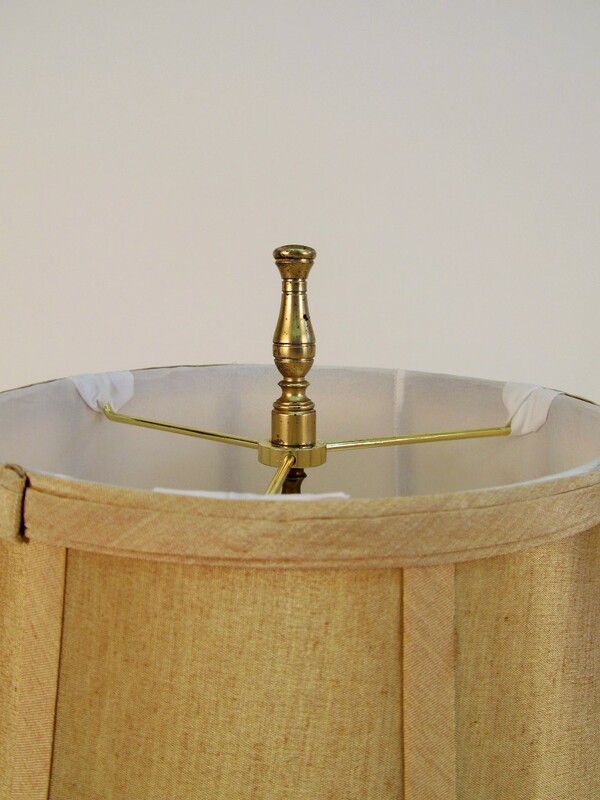 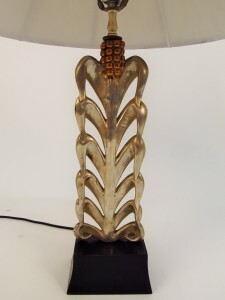 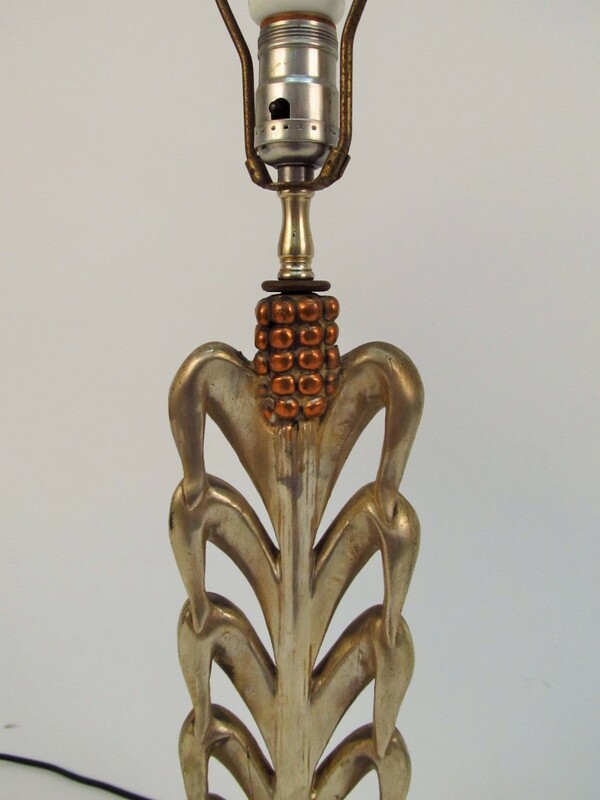 These are a beautiful pair of deco lamps with a naturalist motif of corn stalks. 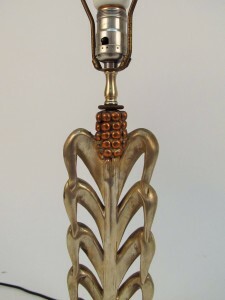 The stalks are made of cast metal that has been silver gilt. 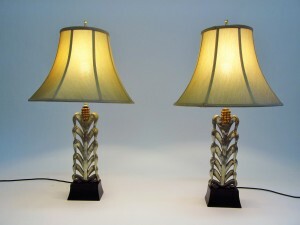 The shades are contemporary. 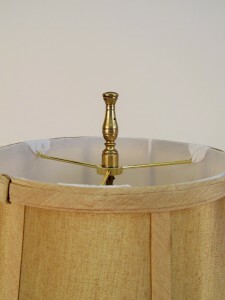 29.75″ to the top of the finial.